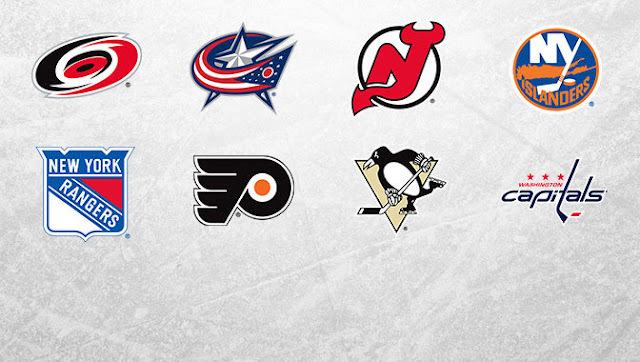 Home to the reigning Presidents' Trophy winner, up-and-coming squads, and several clubs making significant roster upgrades, the Metropolitan may represent hockey's most competitive division in 2015-16. In fact, it wouldn't be that surprising to see five teams from the Metro qualify for the postseason next spring. The Caps could have easily come out of the Eastern Conference last year and, unfortunately for everyone else, they'll probably be even better this year. Sure, they lost some sandpaper this summer, but the additions of T.J. Oshie and Justin Williams only improve an already potent attack. Alex Ovechkin shows no sign of slowing down so, assuming Nicklas Backstrom can return to form following offseason hip surgery, the duo will lead a top-six that few in the league can match. Meanwhile, John Carlson and a steady blue line will once again lineup in front of an emerging top-five goaltender in Braden Holtby. Together the group stymied opponents last year, anchoring one of only seven clubs that surrendered less than 200 tallies (199). If they come close to duplicating that effort in conjunction with an even stronger attack up front, the Capitals could find their way to the top of the division. If one team can match the Caps' firepower up front, it's Pittsburgh. The acquisition of Phil Kessel not only provides the elusive top-tier winger fans have craved for the better part of a decade, but it also indirectly improves depth by pushing a competent winger into the bottom-six. Throw in the additions of Nick Bonino, Eric Fehr, and wildcard Sergei Plotnikov, and the Pens possess more depth than they have in years. 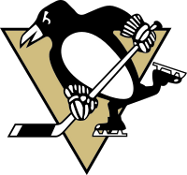 And, with Sidney Crosby, Evgeni Malkin, Patric Hornqvist, and Kessel forming the foundations of deadly top-two lines, finding the back of the net shouldn't prove difficult in Western Pennsylvania this year. Yes, the blue line represents a question mark. And, truth be told, I'm not sure I'd want to enter a playoff series against, say, Washington or the Islanders with the current group. Because, in a vacuum, there's not a lot to be excited about beyond Kris Letang and Olli Maatta. A plethora of serviceable depth defensemen could leave the Pens short of a legitimate contender's top-four if Ian Cole isn't up to the task or Derrick Pouliot isn't ready. But, in the regular season, playing behind such an explosive offense, this group can get by if it simply performs serviceably, particularly if Marc-Andre Fleury plays at last season's team MVP level. As long as the defense can tread water, there's enough talent in Pittsburgh for another successful regular season. Of all the rankings on the list, this is the one we're least comfortable with. After all, the Rangers still employ an all-world goaltender, boast a stingy blue line, and can throw plenty of speed and balance over the boards up front. Clearly, there's still enough talent to take another run at a division title. But, unlike several other clubs within the division, the Rangers may have taken a small step back this summer. 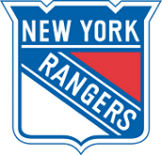 Effectively plugging the departures of Martin St. Louis, Carl Hagelin, and Cam Talbot with Viktor Stalberg, Emerson Etem, and Antti Raanta, the Blueshirts may have lost some potency. Add to that the fact that this team has played a lot of hockey in the last two years and it's not unreasonable to expect a slight dip in the standings. 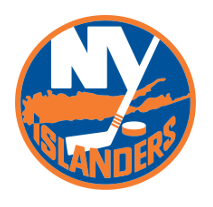 Last year, the Isles rode John Tavares' Hart-worthy season to the club's first 100-point campaign in over 30 years. And, with Tavares in the midst of his prime, it's not a stretch to think he may actually improve in the coming seasons. He'll lead a balanced, tenacious attack that finished fourth in terms of goals scored last year so offensive production certainly won't present an issue. The question becomes whether or not the status quo will prove enough for an Islanders team that ranked in the bottom third of the league in terms of defense. In not making any significant offseason additions (Marek Zidlicky and Thomas Greiss), G.M. Garth Snow will essentially entrust last year's group to take the next step. It's a bit of a gamble within a division that saw several teams make significant improvements (at least on paper). However, with Tavares leading the way, it's hard to imagine the Islanders will miss out on the playoffs during their inaugural season in Brooklyn. 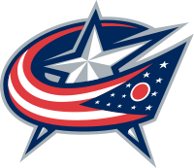 When Columbus shocked the hockey world by exploiting Chicago's salary cap crunch and acquiring Brandon Saad, they sent a message to the rest of the Metropolitan that the Jackets were ready to run with the big dogs. Up front, they've certainly set themselves up nicely. With Saad riding shotgun alongside Ryan Johansen, Columbus boasts an elite duo on its top line. Throw in the likes of Nick Foligno, Brandon Dubinsky, and Boone Jenner and the Jackets are sure to make things uncomfortable for opposing defenses more often than not. Much like in Pittsburgh, the weak link appears to exist along the blue line. Columbus will need Ryan Murray to stay healthy and anchor a relatively thin unit if the Jackets hope to improve significantly on the league's 25th ranked defense. Of course, if Sergei Bobrovsky can shake off two injury-plagued seasons and return to Vezina-like form, it will go a long way towards covering up those defensive deficiencies and helping the Jackets return to the postseason. The Flyers will, once again, rely heavily on Claude Giroux, Jakub Voracek, and Wayne Simmonds to lead the Philadelphia attack. The key for this team, though, is supplementing last year's third ranked power play with more production at even strength. New bench boss Dave Hakstol will need to draw more out of the Flyers' depth pieces if that's to become a reality. With the departures of Kimmo Timonen, Braydon Coburn ,and Nicklas Grossman, the blue line may find itself in dire straits, at least in the short-term. The club will likely need Steve Mason to stay healthy and remain in the upper echelon of goaltenders if the Flyers hope to find success this year. Where will the goals come from? Sixth-overall pick Pavel Zacha gives New Jersey hope for the future but, in the short-term, this team will starve for offensive production. Last year's 28th ranked offense appears destined for another bottom-five finish in 2015-16. A young and promising defensive core will play in front of Cory Schneider knowing that a Vezina-caliber goalie has their back. 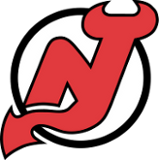 Together, they'll keep enough pucks out of the net to ensure New Jersey remains competitive on most nights but, ultimately, a lack of scoring will doom the Devils this year. The Hurricanes haven't qualified for the postseason since 2009 and that isn't likely to change this season. After a last place finish in the Metropolitan Division, Carolina could be in for another long campaign. Only three teams potted fewer goals than the Hurricanes' 183 last year and, with a dearth of skill up front, that lack of production will likely continue this year. Carolina desperately needs players like Jeff Skinner and Eric and Jordan Staal to, not only remain healthy, but produce like they've shown they're capable of in the past. Along the blue line, the future is bright with Justin Faulk in the fold and fifth-overall pick Noah Hanifin on the horizon. But that young talent won't be enough to have the Hurricanes battling for a playoff spot this year. In net, Eddie Lack's arrival may signal a transition between the pipes as Cam Ward enters the final year of his contract. Feel free to comment below with regards to why you agree or disagree.